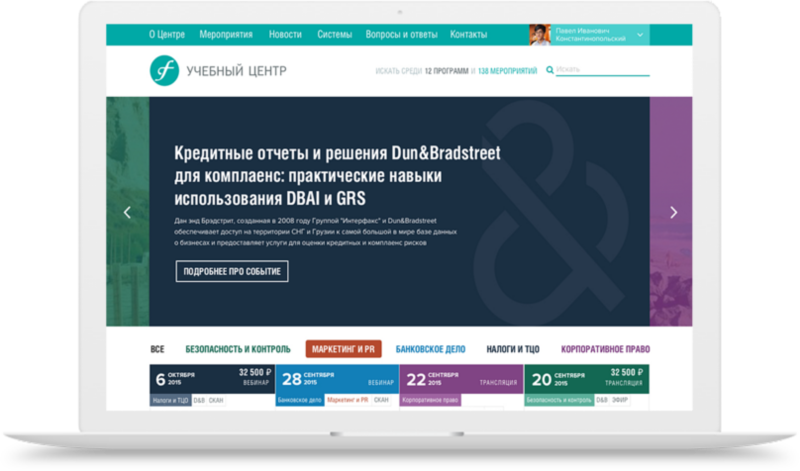 'Interfax' has got different resources with the most up-to-date information about law, finance system, taxes etc. for business customers. Educational trainings and meetings with experts are held to train clients to use all the functionalities of these resources. Our aim was to unite all the educational programs into a convenient catalogue with easy registration and an opportunity to choose different types of participation. All events can be filtered according to their subject (media, taxes, purchases), event format (webinars, workshops, online broadcastings etc. ), place and date of event. The page of event is thoroughly designed. All the necessary information, including such options as contacting event organizers, adding event into personal calendar, picking a form of participation, is displayed there. Different forms of participation are available for each event: you can take part in event from beginning to end or just get access to learning materials. There are corresponding types of tickets for every form of participation. 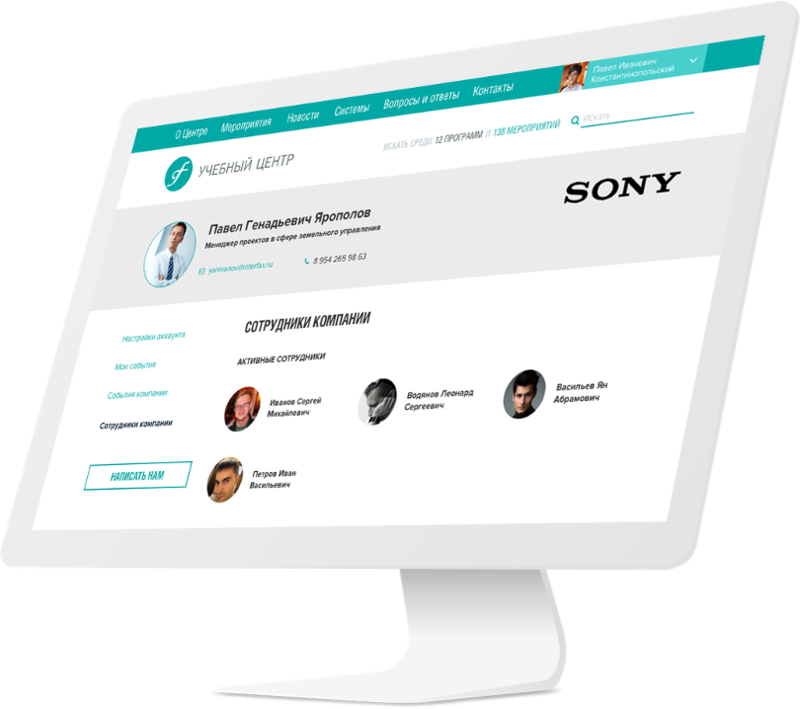 Functionality of personal cabinet allows to register as event-participants not only the logged in user but also his workmates and friends. Beyond history of all the participation applications and attended courses is saved there. We’ve implemented a complex of technological solutions in this project. 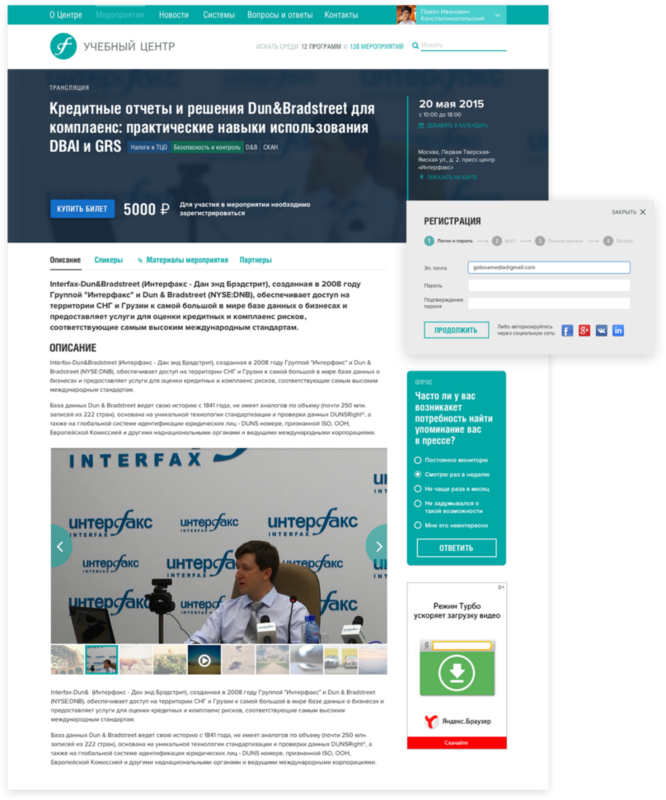 As an example, we’ve integrated the service with the video-broadcast of Interfax and with Cisco WebEx platform which is done to realize automatic registration of clients as webinar participants. 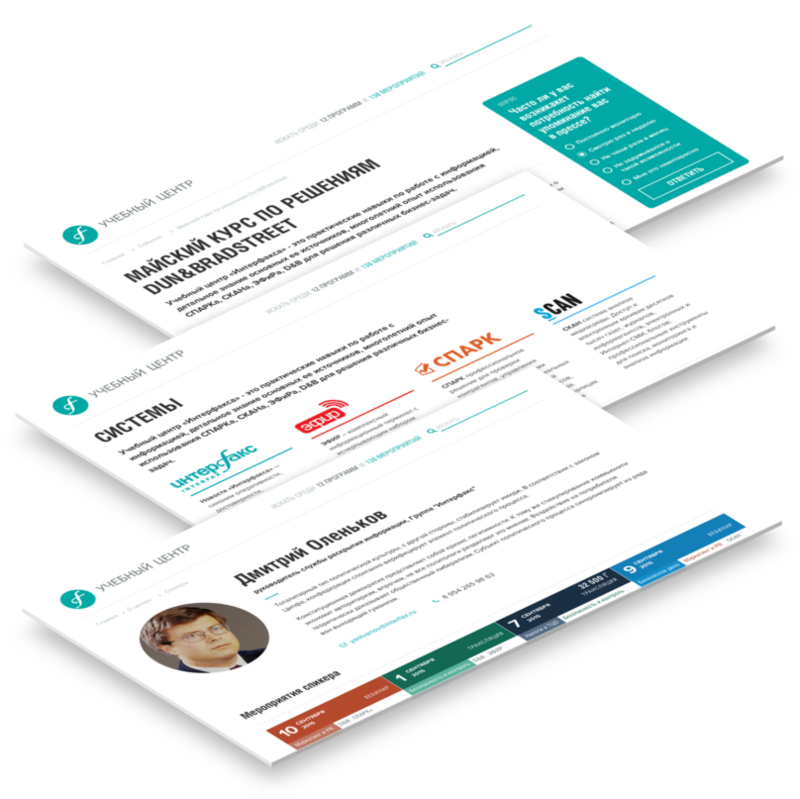 Additionally we’ve created a system of different rights and bonuses for different types of users and automatic mailing system.